Before the Farm Heroes Saga, the entire world was busy matching candies in the Candy Crush Game. In fact, King launched these farm heroes looking at the massive success gained by the candies. 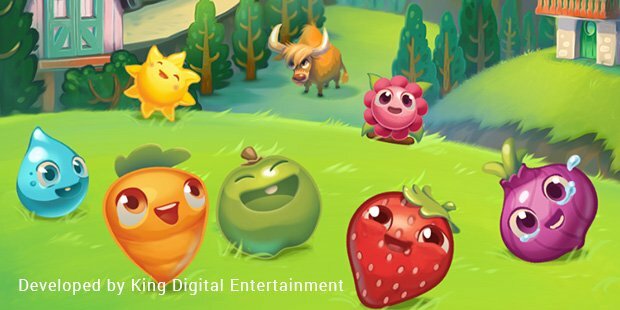 Farm Heroes Saga is a clone of Candy Crush in another way with farm produce instead of candies in it. 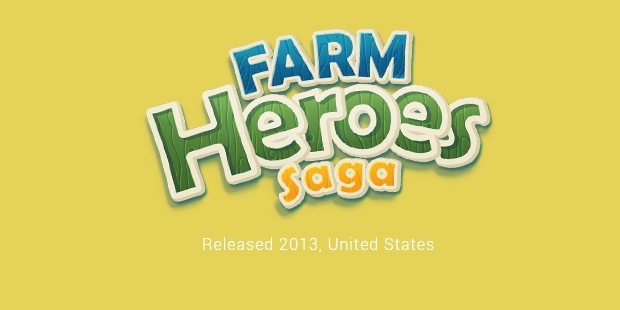 Farm heroes saga is made to leverage users with lots of fun and quality time. The game is available on various platforms like iOS and Android and already flaunts a billion downloads. Farm Heroes is packed with best in class high resolution graphics compatible with every smartphone. Compatibility of the game has been a huge factor behind its success. Ever since King collaborated with Facebook and launched the game on online platform, the game received tremendous response from the gamers on Facebook. King has made the right move at the right time by introducing the farm concept, just about when Candy Crush stabilised its business. The game is highly engaging and delightful. And sometimes it works as a stress buster.Farm Heroes Saga can be installed on both iOS, Android and windows phone too. The game is packed with around 800 differents and exciting levels. Developers continue to add more levels every day. Each level is packed with different colourful fruit and veggies. Some of the exciting features like bomb, striped candies, wheels, fish and bomb coolers make the users come back for more.The challenge to cross the levels with newer things added at each passing one makes the game super addictive. The concept of the game is innovative and real. You have to send a request to your friends on Facebook to get live score tickets to play further levels or to unlock the road blocks. 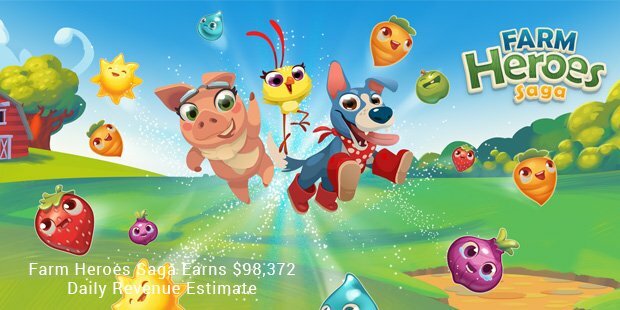 Facebook track your progress in the game.The rage for Candy Crush and Farm Heroes made King launch many more games in the same genre, such as Soda Crush and Pepper Panic Saga.Farm Heroes Saga continues to do great business, engaging the child trapped inside millions of adults across the globe.